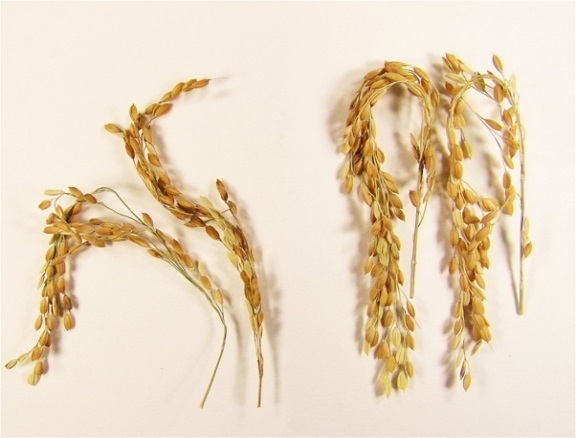 The new strain of rice (right) compared to common rice (left). The new rice creates much less methane during its growth and produces more grains. RICHLAND, Wash. — The creation of a new kind of rice which gives off nearly zero greenhouse gas emissions during its growth has earned kudos for a team of scientists from three continents, including the lead investigator at the Department of Energy's Pacific Northwest National Laboratory. The new kind of rice grows in a manner that nearly eliminates the production of methane, a potent greenhouse gas. And rice is a big source of methane: Scientists estimate that somewhere in the neighborhood of 8 to 15 percent of global methane emissions come from rice paddies around the world. Methane is 20 times more efficient at trapping heat in atmosphere than its better-known counterpart, carbon dioxide, making the team's contribution especially important for climate issues. The research has been recognized with a "Best of What's New" award for 2015 by Popular Science. The work was named the grand prize winner in the magazine's engineering category, one of 10 categories in which a total of 100 research developments around the globe were recognized. The awards are described in the December issue of the magazine. 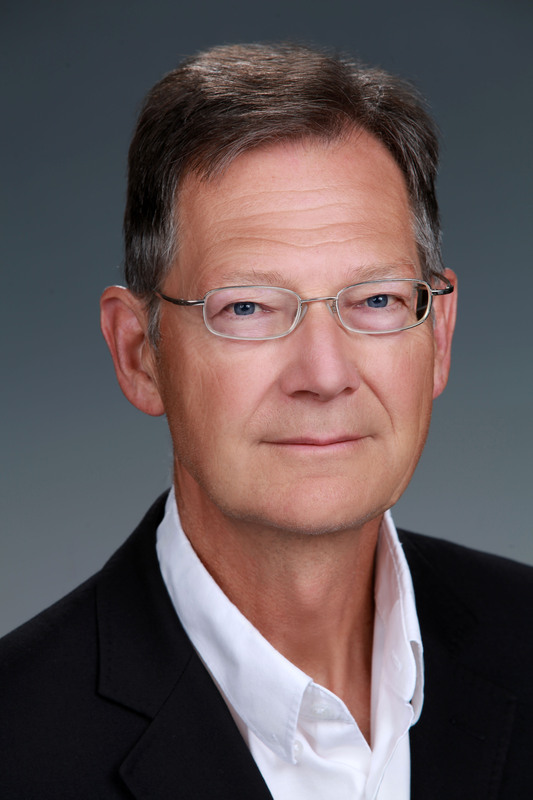 PNNL scientist Christer Jansson led the team; he is director of plant sciences at EMSL, the Environmental Molecular Sciences Laboratory, a DOE user facility at PNNL. For more than a decade he has worked closely with Chuanxin Sun of the Swedish University of Agricultural Sciences, who has contributed significantly to the research on rice. The two published a research paper about the rice in July in Nature, together with other researchers at the Swedish institution and colleagues at China's Fujian Academy of Agricultural Sciences and Hunan Agricultural University. To create the rice, the team identified a gene in barley that directs how that plant uses carbon, then spliced that gene into common rice. The change redirected the way the rice plant uses the carbon it pulls from the atmosphere, causing the plant to send more carbon into the plant's grain and stems and less into its roots. That change increases the amount of starch and the yield of rice and reduces the carbon available to the roots, where bacteria convert much of the substance into methane. "This is a win-win finding," said Jansson, a plant biochemist. "The process results in reduced methane emissions, which helps to mitigate climate change, and also results in more biomass — more food. This dual effect is very positive." Much of Jansson's work focuses on understanding how plants absorb light and tap water and carbon to carry out photosynthesis. The work is central to scientists who investigate "bioenergy," which involves creating or tapping biological materials for energy. Jansson has worked with crops like sorghum, rice and tobacco to discover new ways to create plants that offer novel energy traits. Funding for this research was provided by the Swedish University of Agricultural Sciences, the Swedish Research Council for Environment, Agricultural Sciences and Spatial Planning, the National Natural Science Foundation of China and the Carl Tryggers Foundation. Most of Jansson's current research is funded by the Department of Energy's Office of Science and ARPA-E.